Kardamili, Messiakos Gulf, Greece, July 2008, 0.5m deep. 15 Jul 2011. Kostas Tsiamis. © Kostas Tsiamis (kostas.tsiamis@gmail.com). Karakonero, Rhodes Isl., Greece, January 2006, 1m deep. 15 Jul 2011. Kostas Tsiamis. © Kostas Tsiamis (kostas.tsiamis@gmail.com). Published in: Bory de Saint-Vincent, J.B.G.M. (1832). 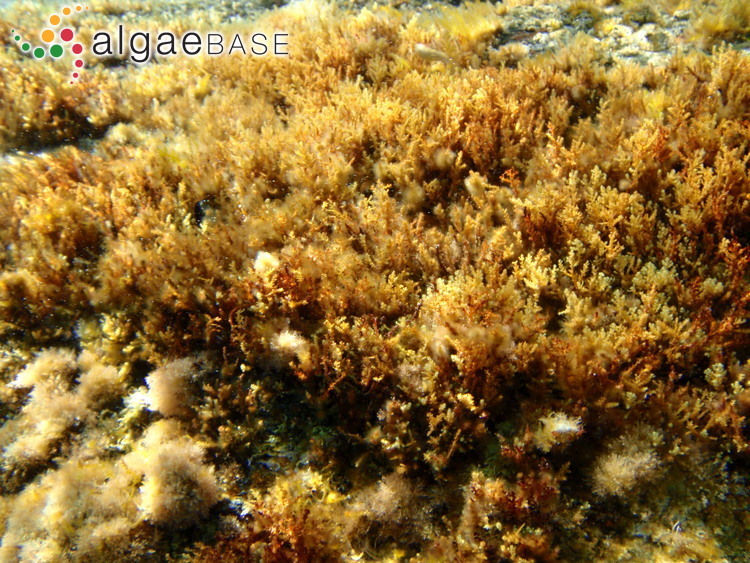 Hydrophytes. In: Expédition scientifique de Morée. Section des sciences physiques. Tome III. 2e partie. Botanique, pp. 1-367 . (Bory de Saint-Vincent, J.B.G.M Eds), pp. 316-337. Paris & Strabourg: Chez F. G. Levrault, imprimeur-libraire, rue de la Harpe, n.º 81; même maison, rue des Juifs, n.º 33 (Strasbourg, imprimerie de Levrault). Type locality: "In mari Mediterraneo" (Agardh 1820: 55). Accesses: This record has been accessed by users 4274 times since it was created. Engelen A.H., Costa, J., Bermejo, R., Marbá, N., Duarte, C.M. & Serrão, E.A. (2017). 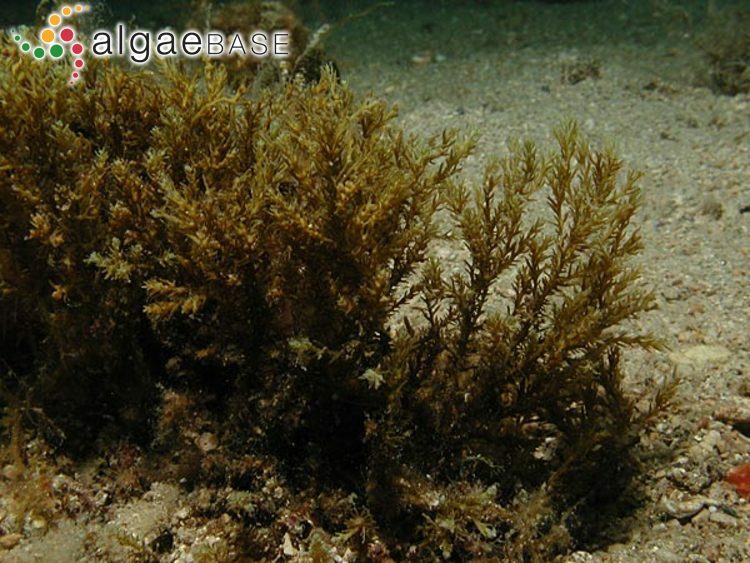 A population genetics tool-box for the threatened canopy-forming brown-seaweeds Cystoseira tamariscifolia and C. amentacea (Fucales, Sargassaceae). J. Appl. Phycol. 29: 627-629. Pizzuto, F., Presti, C. & Serio, D. (1995). Struttura e periodismo di un popolamento a Cystoseira amentacea Bory v. stricta Montagne (fucales, Fucophyceae) del litorale catanese. Boll. Acc. Gioenia Sco. Nat. 28: 23-43, 5 figs, 4 tables, 1 plate. Susini, M.-L., Thibaut, T., Meinesz, A. & Forcioli, D. (2007). 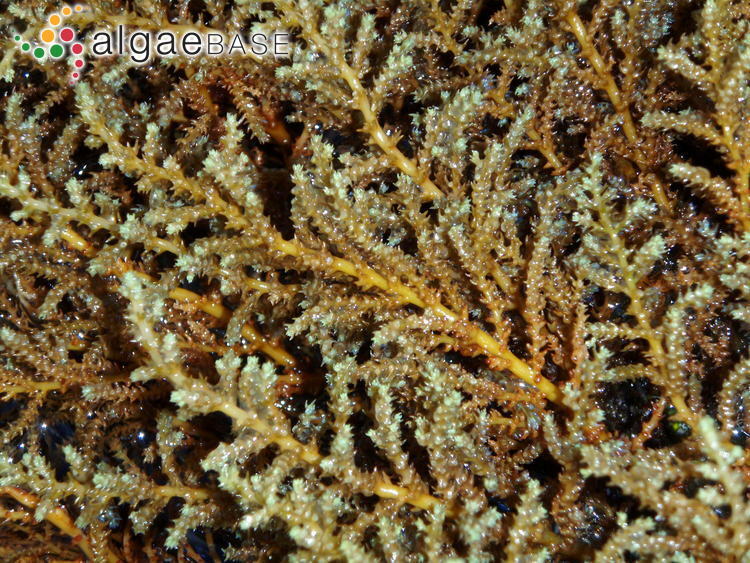 A preliminary study of genetic diversity in Cystoseira amentacea (C. Agardh) Bory var. stricta Montagne (Fucales, Phaeophyceae) using random amplified polymorphic DNA. Phycologia 46(6): 605-611. Thibaut, T., Bottin, L., Aurelle, D., Boudouresque, C.-F., Blanfune, A., Verlaque, M., Pairaud, I. & Millet, B. (2016). Connectivity of populations of the seaweed Cystoseira amentacea within the Bay of Marseille (Mediterranean Sea); genetic structure and hydrodynamic connections. Cryptogamie Algologie 37(4): 233-255.